This project has been brewing for quite some time, even before my daughter came to be about 8 Month's ago. As I travel a lot for work, I've been thinking about how to use some of the technology thats out there to let a baby or toddler communicate with their parent's while away and send them a message or a notice that they are thinking about them. Maybe even just a reminder that they are playing with a toy that the parent has given them. 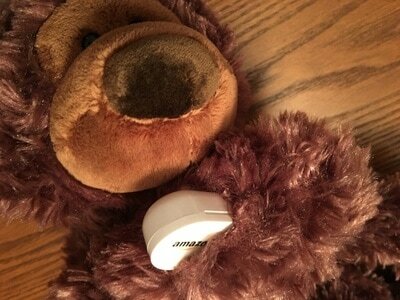 I know there are some other things out there on the market or proposed products, but here is my spin on an IOT Teddy Bear. 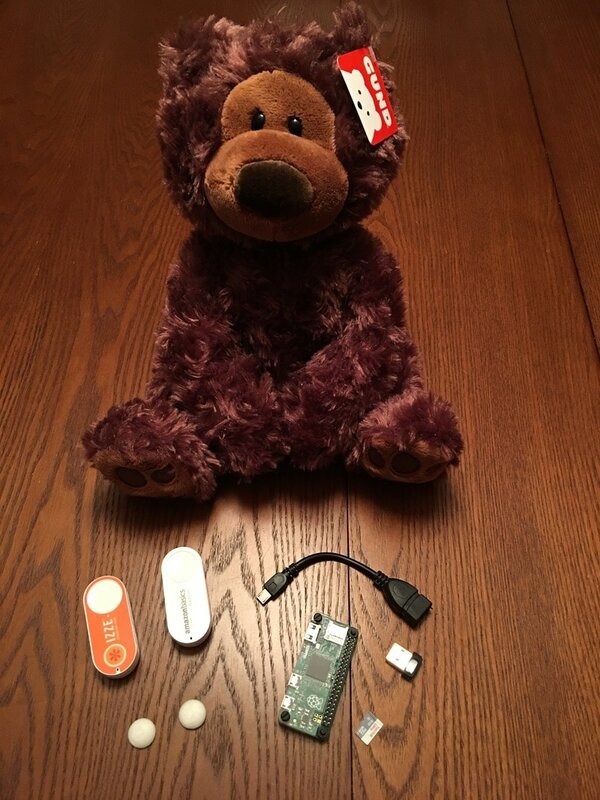 These use the $5 Amazon Dash buttons to make calls to the Maker channel on the IFTTT.com website which thens sends a text to your phone indicating that the child is playing with the Teddy Bear. 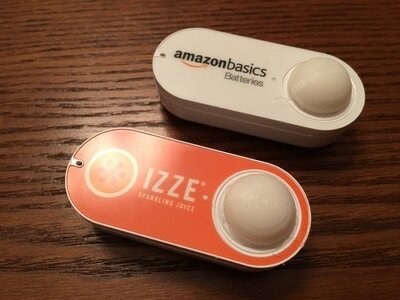 You'll also need a Raspberry Pi to monitor the button pushes. By following the instructions over @ BruhAutomation.com, you'll be able to set up the Raspberry Pi to listen for activity on your WiFi network and whenever the the buttons are pressed. 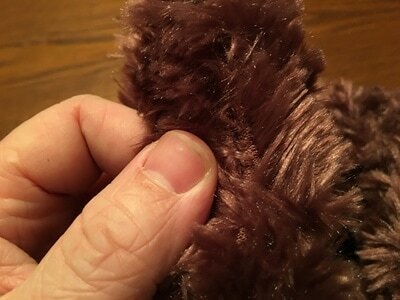 I've also designed a small part to attach to the buttons so they are easier to press through the bears paws. 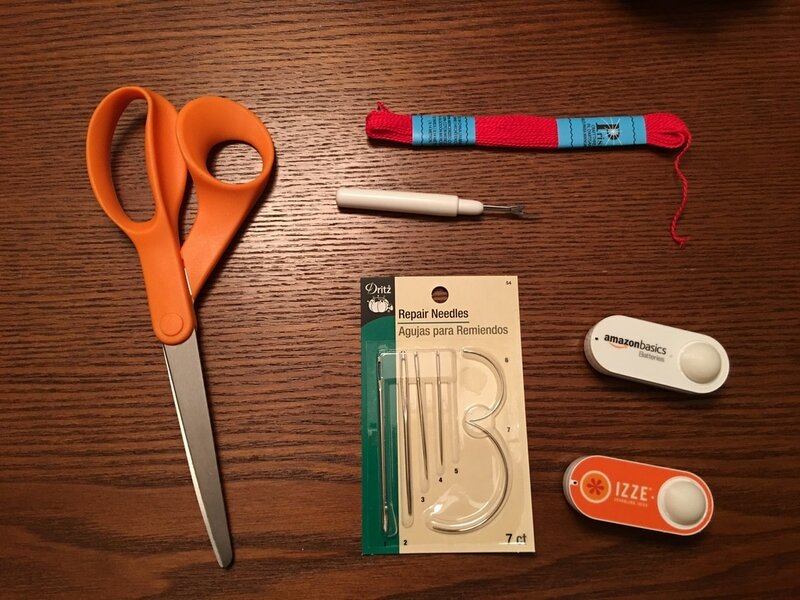 It helps to score the top of the button with an exacto knife so the glue 3D printed parts stick to the dash button. 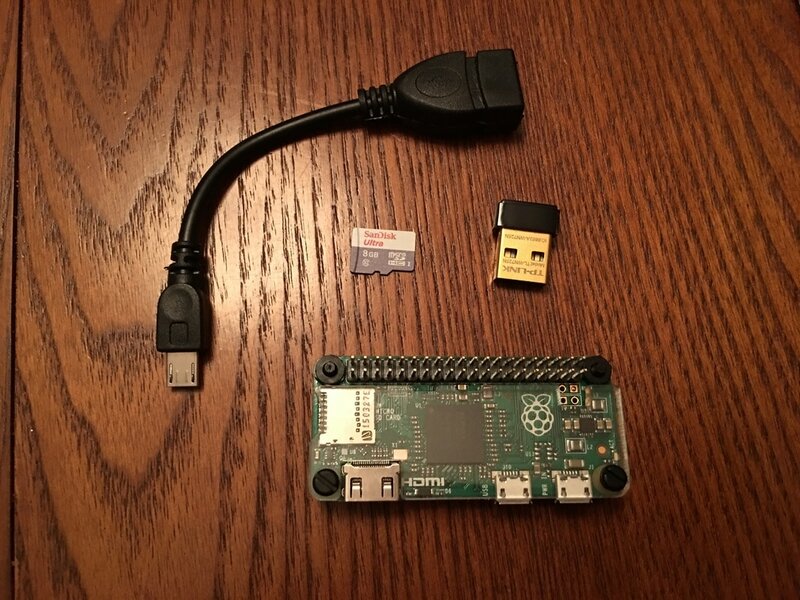 This project assumes you are somewhat familiar with setting up a raspberry pi and connecting to the Pi via SSH. 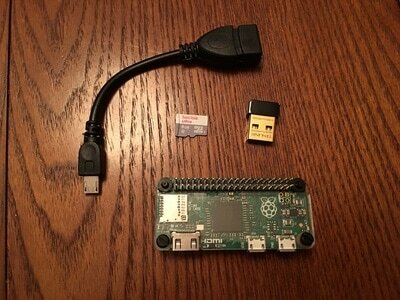 There are plenty of great tutorials out there if you google running a Raspberry Pi "headless" (or without a keyboard and monitor). Once you've got the buttons working and talking to IFTTT.com, it's time to perform the surgery on your Teddy. 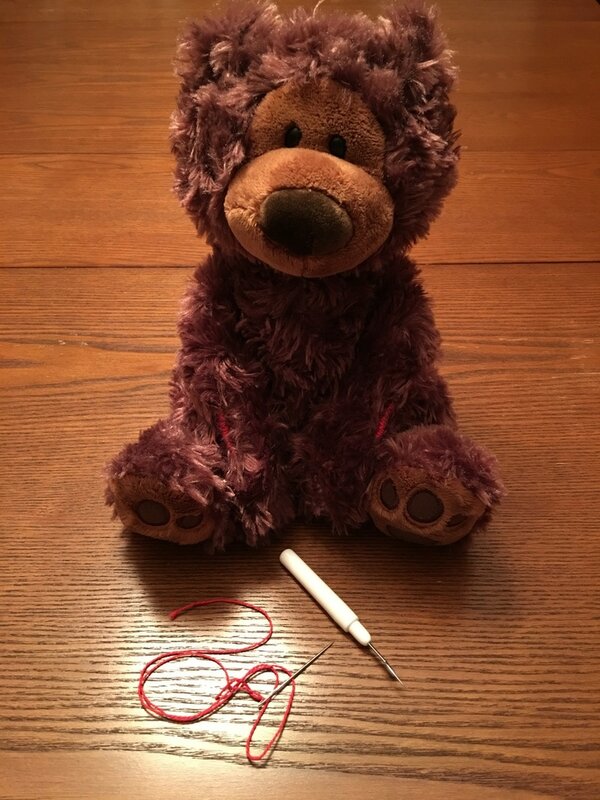 Grab your seam ripper and find a good spot on the arm and cut a few stitches out. 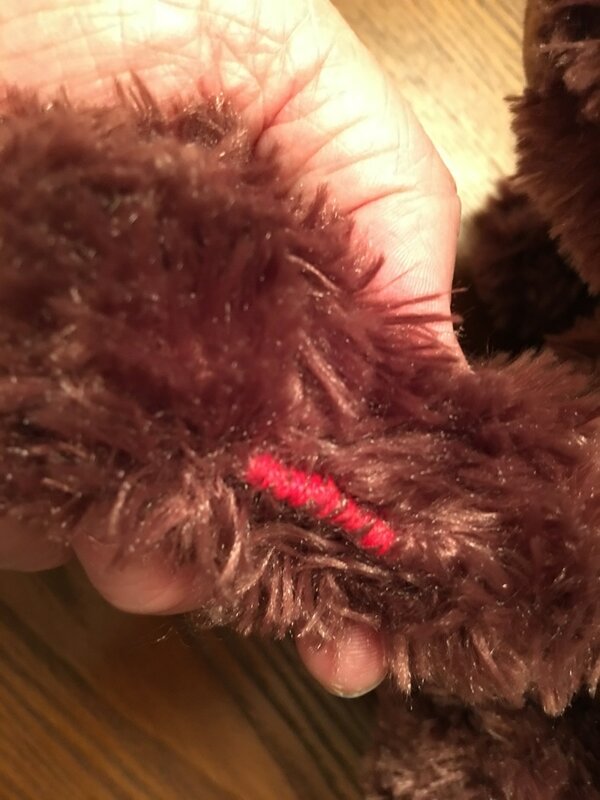 Insert the Button so it's face down and then sew it back up and repeat on the other arm. 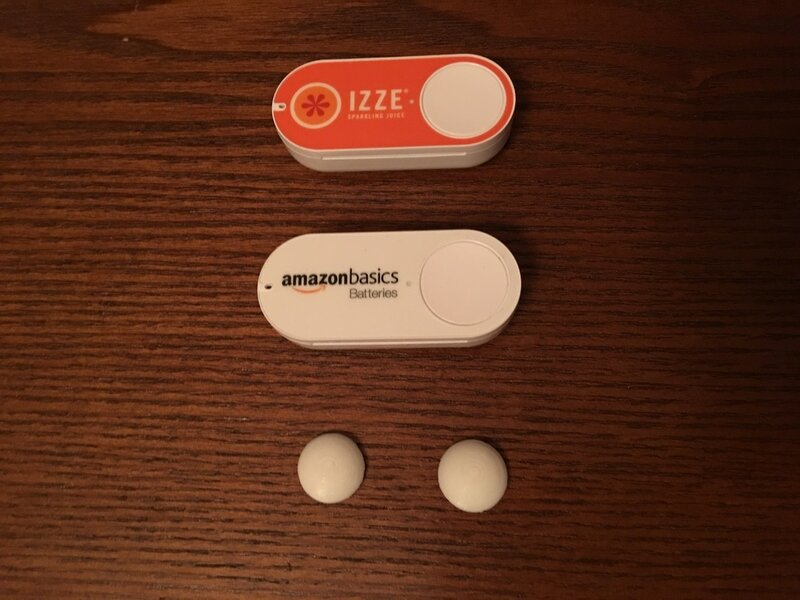 The big benefit and reason for using the Amazon Dash buttons is that their circuitry is such that they use such a tiny amount of power and only really turn on and connect once the buttons pressed. Theoretically they could last a few years without having to change batteries. They are also inexpensive and easy to setup using the Amazon App. The result looks like the image below when it shows up in iMessage or on my phone. Similar to an Airturn.com bluetooth page turner, I wanted to see if I could make a cheaper alternative. In an effort to keep an aesthetic that would match the style of music we play...i.e. bluegrass, I decided to make it out of wood. Using VCarve to design the file, I cut out the cavities in the wood block using the Shopbot at TechShop Pittsburgh. 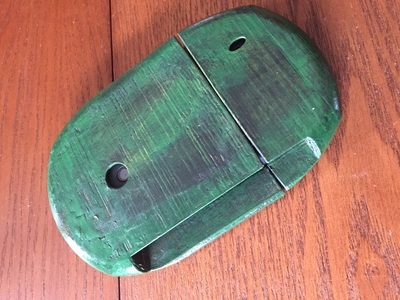 I cut two channels on the bottom of the wood block that you can't see in the picture so I could run the buttons between the cavities with out having to have channels on the top. For the electronics I used some simple push button tactile switches. These are momentary so they only hit once. 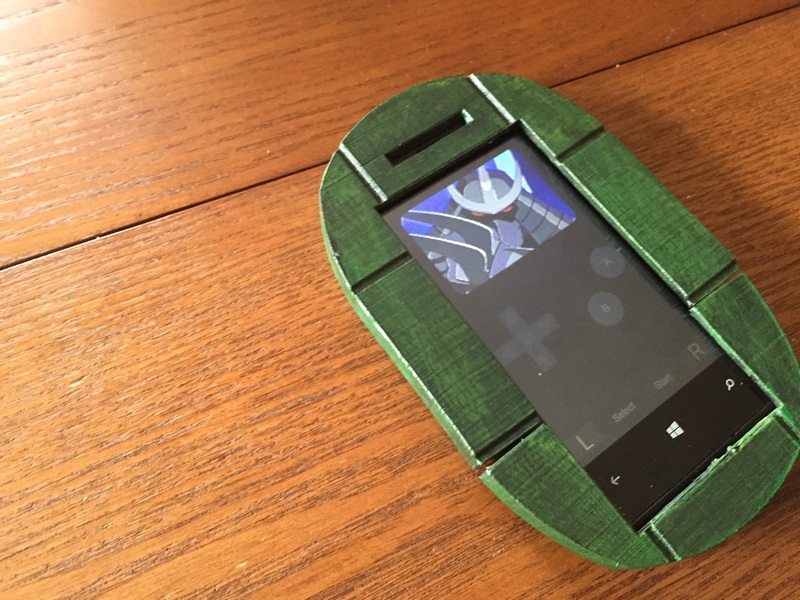 The brain of this was Adafruit's Bluefruit EZ-Key. I wired up 2 switches for the foot pedals and 2 more. One for the Home button in iOS and one for Keyboard Toggle. 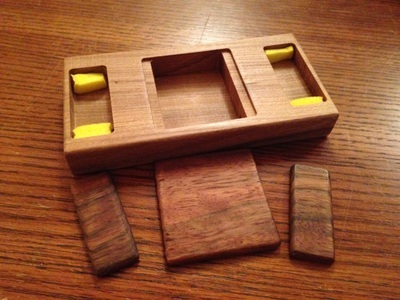 Everything is concealed with small wooden pushers and a wooden lid. The wooden pushers are glued to insulating foam which acts as a spring surface. 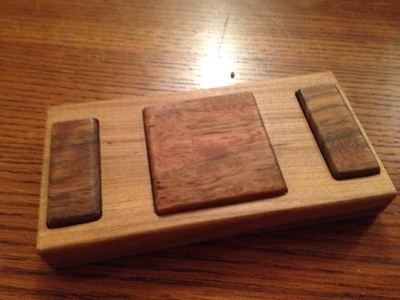 The wooden lid attaches using two rare earth magnets. 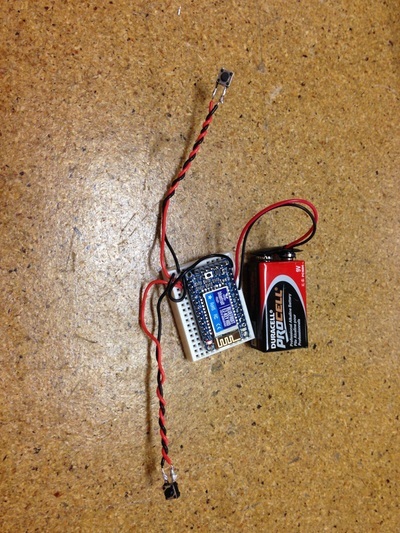 I wired up a JST connector in the final version and attached everything using Adafruit's PermaProto Board. I love these permanent breadboard-esque prototyping boards! I currently use the app "Setlist" with the pedal. It does a great job at turning the lyrics so we can have a ton of songs in our back pocket with out having to memorize the lyric. As a Bluegrass band, a lot of songs are easily remembered but the lyrics are the hard part! This was a quick project I did for the Bluegrass band I'm in, Lonesome Lost & Foggy. I wanted to make each of the band members a hoodie that they could wear at gigs or just around to help with band promotion. Since their are only 4 of us, it wouldn't have worked out to do a run at our favorite silk screening shop, Common Wealth Press, so I took the TechShop route and purchased 4 feet of heat press vinyl (ThermoFlex Plus). 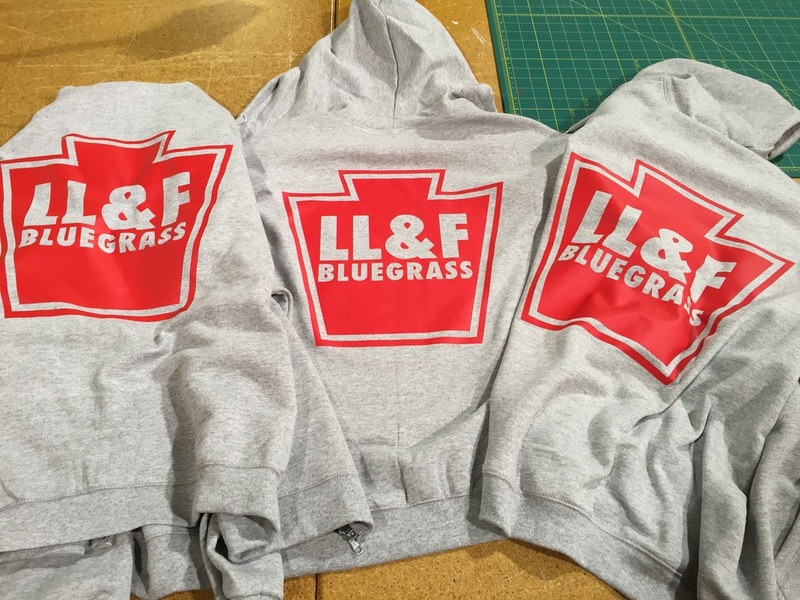 The heat press at TechShop ended up being a cost effective and fast way to make the hoodies. The process is fairly quick. 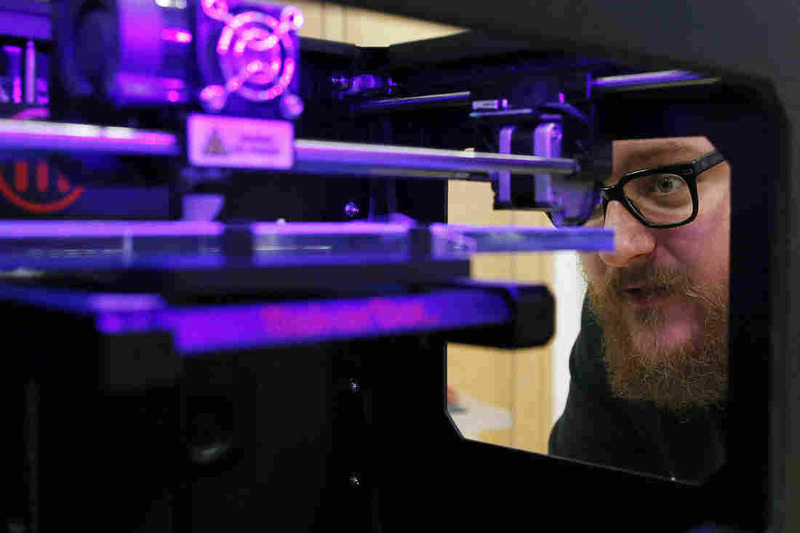 Cut your designs out on the vinyl cutter, weed out the excess vinyl. Make sure your design is backwards or reversed on the heat press vinyl as you will be placing it face down on the article of clothing. I adjusted the base temp up to 376 F and did 2 cycles of 30 seconds. The important thing is to let it cool briefly before trying to pull the clear transfer paper away. All in all was able to make a custom hoodie for ~$15 and 30 min. of time. So far after about 2 weeks of time they are all holding up pretty good! 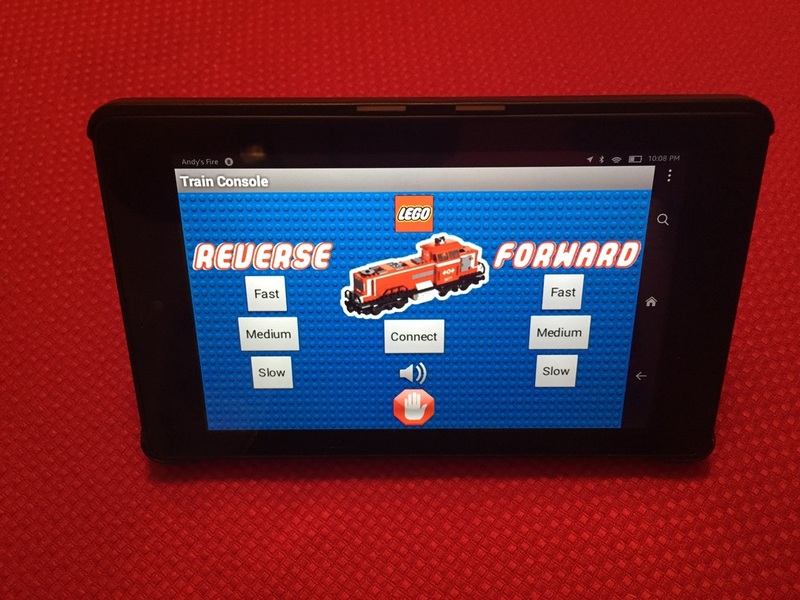 Recently after having taught a workshop on Arduino/Android/Bluetooth connectivity, I decided to see if I could create an app using MIT's App Inventor 2. I set out using an HC-05 bluetooth module (commonly available on Amazon.com) as the Bluetooth portion of my recipe. My current Microcontroller of choice is Adafruit's Trinket Pro. This handles the code and receives the serial messages sent from the app over bluetooth. The Adafruit Trinket Pro has the availability to do Serial where the base Trinket does not, at least not with out a software hack. The IR transmitter goes on pin 13 by default in the code. I attached a JST header to the Trinket so it could be powered off of a lipo. The one pictured is a bit overkill, but does the job. The HC-05 Talks to the Trinket Pro over Serial using pins 1 and 2 on the Adafruit Trinket Pro and making sure to send RX to TX and visa versa. The app made in app inventor looks like the picture below. Adding images and buttons is pretty simple. The toughest part is setting up the Bluetooth Client and list picker. Directions for that can be found here. 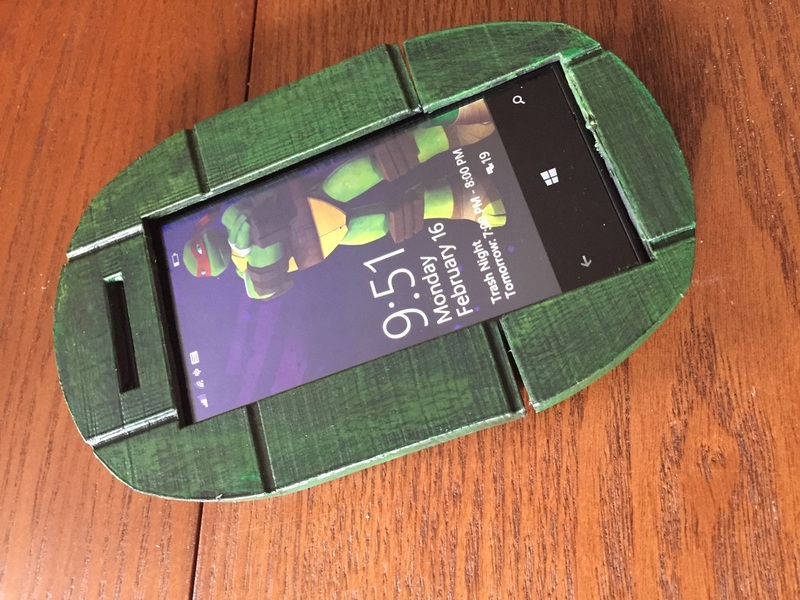 Thanks for taking some time to check out my first post! I'm going to start putting up projects that I make here! In the past I've kept my projects to quick Youtube.com videos and a Flickr Album. I think there comes a time in a young man's life where he needs to start documenting in greater detail so as to share with those around him his work! So here I am. I am going to start posting hopefully once or more a week with new projects, ideas, new parts/components and more! 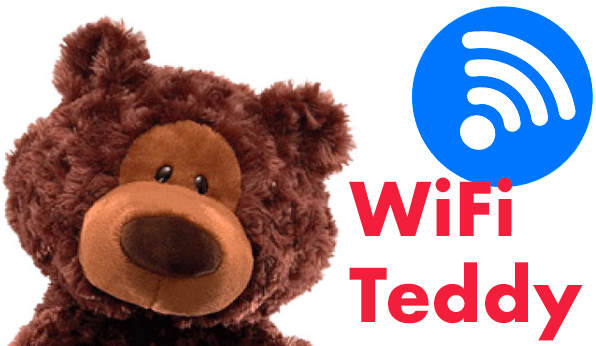 Please feel free to subscribe to the RSS feed at the bottom to get up to date information. Subscribe to me on other channels as well such as facebook, twitter, youtube, etc.! 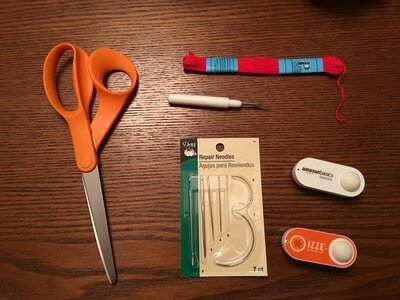 I am a maker at heart and electronics enthusiast. Many of my projects are created out of necessity for the item, or out of a modification of existing things I have!